Call Agent â Pattie Parrett - Real Estate Center of Spearfish 605-645-1809 for more information. Solitude and Serenity! 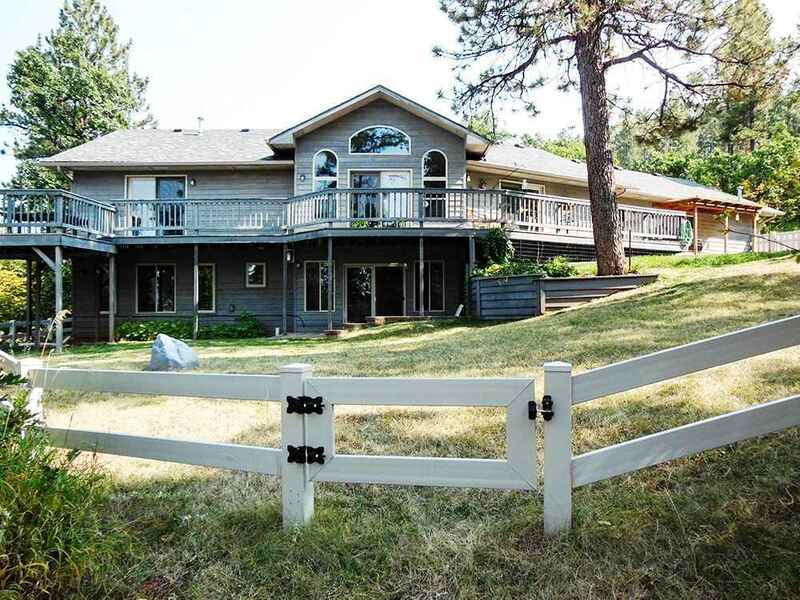 This luxury home is located in the prestigious Mountain Plains 2 Subdivision and is nestled in 3.575 acres of private forest. You will appreciate the quality finishes throughout, including solid 6 panel doors, granite countertops, solid oak kitchen cabinetry, new refrigerator, dishwasher and microwave, kitchen sky light, Hunter Douglas blinds & shades throughout, a see through rock fireplace that services the dining room and living room, vaulted ceilings, custom office with built-in desk, walk-outs from dining room, master bedroom and family room, a large family room with rock fireplace and office/exercise room, a very spacious laundry room with plentiful cabinets, sink and built-in ironing board and a huge storage room! The back yard is perfect for entertaining with its wrap-around deck, covered patio and a 12x18 gazebo with a garden full of beautiful perennials.